Flow and fish running-up simulation in sadden widening and narrowing flume. 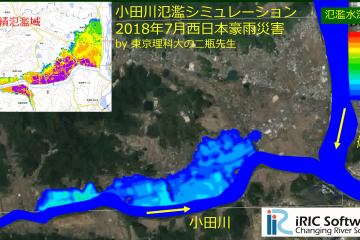 Urban flood of Pekerebetsu river during 2018 Hokkaido flood. Particle simulation in a 360 degree flume using iRIC CGNS files.